Welcome to the last day of Chocolate and Fruit Theme Week, and Day #1 of Chocolate and Nuts Theme Week. It's February in California, and the hills are turning green. In a matter of weeks, cherry and almond trees will start blooming. This is the start of our short green season in the arid west and we love it. 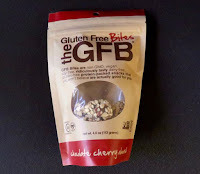 Today's Chocolate Cherry Almond Gluten Free Bites were from West Thomas Partners LLC (Grand Rapids, MI). The company was founded by two brothers, Marshall and Elliott, who "got along well with each other, but not with gluten." The brothers' Certified B Corporation* has created several certified gluten-free snacks, including today's vegan, organic, gluten, dairy and soy-free ball-shaped bites. While containing some organic cane sugar (and agave syrup), these naturally tasting bites with a soft chew, were refreshingly natural tasting and not too sweet (thank you! 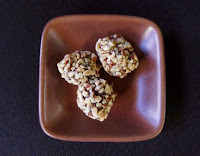 )—allowing the Montmorency cherries, California almonds and dark chocolate to speak for themselves in an organic way. Two or three bites were very satisfying. 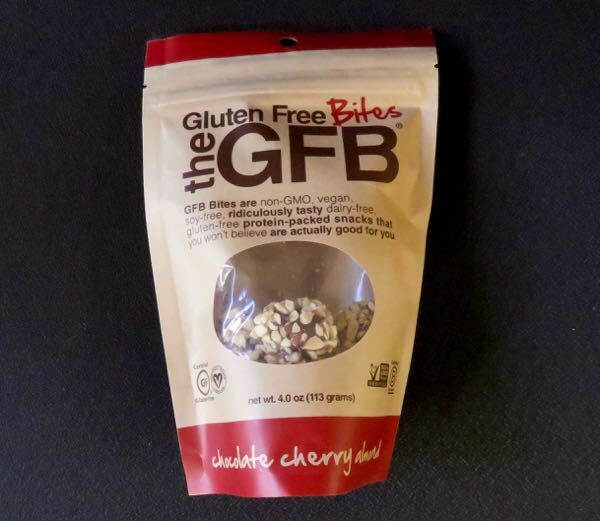 The Bites were Certified Gluten Free and Non-GMO Project Verified. *A B Corporation, or benefit corporation, is a legally recognized for-profit entity, that also operates with goals that are designed to have a positive impact on society.